The demand for API and Web service testing has been consistently growing. In this regard, SoapUI is still one of the most influential automation tools for API and Web service testing; but it also has drawbacks. 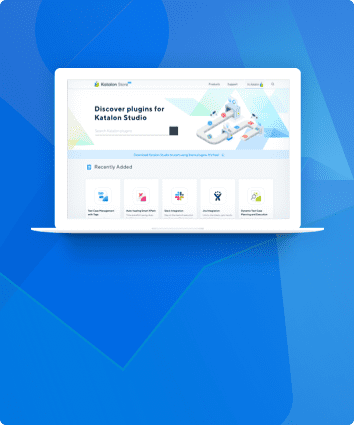 In this blog, we will suggest some potential SoapUI alternatives that you can download and try for free. 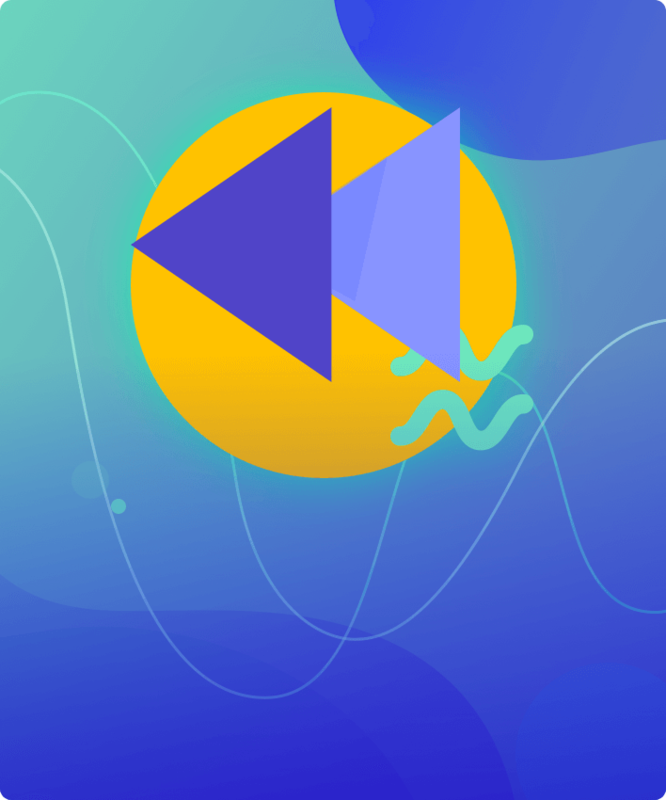 But first, let’s go through the quick introduction that could help you have a better understanding of SoapUI and why you need an alternative solution. SoapUI is a Web service testing application with user-friendly interface and features. It allows users to rapidly execute automated functional, regression, and load tests. In a single test environment, SoapUI provides total test coverage, from SOAP and REST Web services to JMS enterprise messaging layers, databases, rich internet applications, and many more. Functional testing: SoapUI allows you to perform functional verification against Web services, Web applications, and JDBC data sources. You can validate the responses to your tests using various built-in and custom assertions. Performance testing: With just a few clicks, you can quickly generate performance and load tests in SoapUI. Why should you consider another alternative solution? The software is heavy and consumes a lot of CPU memory. Therefore, sometimes SoapUI hangs and runs out of memory due to which the unsaved data is lost. It is best-suited in small-scale projects for load testing. Load testing with complex tasks can be difficult to handle. SoapUI does not create data validation reports. 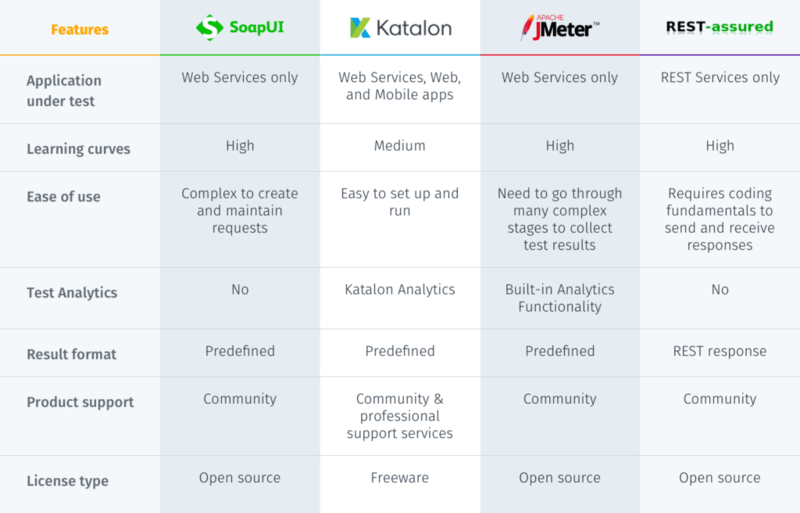 After considering from a set of essential criteria, we have selected three representative API Web service testing tools as alternatives for SoapUI: Katalon Studio, JMeter, and Rest Assured. Katalon Studio is an integrated environment for testing API, Web-based GUI, and mobile apps automation tests. You don’t need advanced programming skills to handle tests in Katalon Studio. 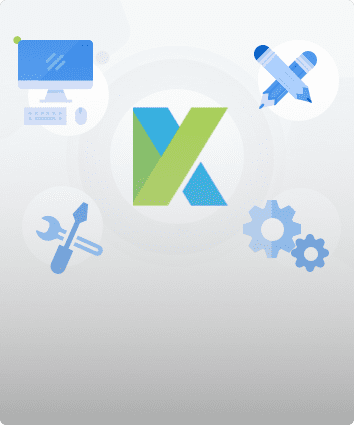 Built on top of Selenium and Appium engines, the tool has all components, built-in keywords, and templates needed for any software development projects. Katalon Studio can be seamlessly used on multiple platforms including Windows, macOS, and Linux. Most importantly, it’s free to use. Productive IDE for API automation: Katalon Studio helps optimize the processes of scripting with code autocompletion and inspection, prebuilt code templates, and quick references. Additionally, it also speeds up debugging and enhances test maintenance. API-centric: Katalon Studio supports all types of REST, SOAP/1.1 and SOAP/1.2 requests. The Groovy/Java libraries lets you integrate with other test types and set up fixtures. 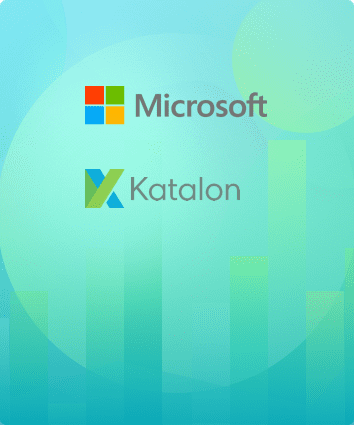 Built to work with modern frameworks: Katalon Studio supports multiple data sources including XLS, XML, and databases. It is the most comprehensive BDD solution with native Gherkin editor, Cucumber-compliant and comprehensive integration with JIRA for BDD lovers and practitioners. Sustainable and scalable platform: Built-in integrations with Jira, Jenkins, qTest, and Slack, Docker containers and CLI. Real-time analytics: Centralize execution history with real-time analytic dashboards. Identify defects faster. Improve testing strategies with quality, performance and flakiness reports. Minimal maintenance: Reuse test cases, Web services, custom keywords across different projects. Define test scenarios and execution plans with flexible test suite management capabilities. 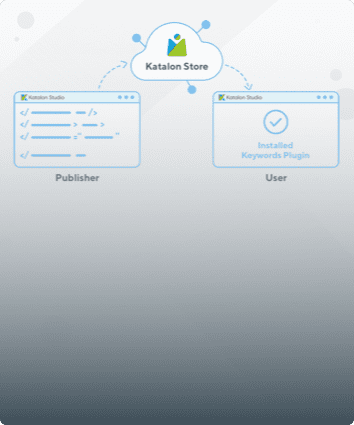 Extensible features: You can add and customize features through its plugin platform—Katalon Store. 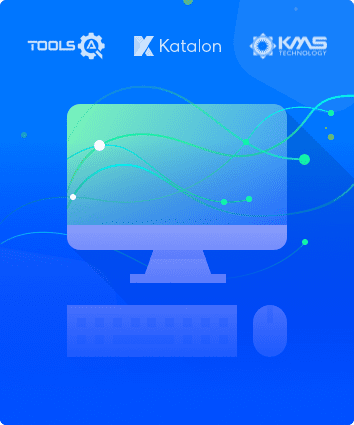 It is a marketplace for Katalon users to install and build add-on products to extend Katalon Studio testing capabilities. Our second alternative solution to SoapUI testing tool is Apache JMeter. Similar to SoapUI, JMeter is also a free and open-source testing application. It supports functional test, load test, regression test, stress test on different protocols. JMeter also supports custom scripting to extend its functionalities. Our third SoapUI tool replacement is Rest-Assured. This tool is an open-source Java Domain-specific language (DSL) that makes testing REST service simple by eliminating the need to use boiler-plate code to test and validate complex responses. It supports XML and JSON Request/Responses. When choosing an alternative for SoapUI, make sure you compare all criteria that each solution provides and what kind of support your automation team needs. If your team only needs Web services support, and predefined result format, JMeter is your top pick. 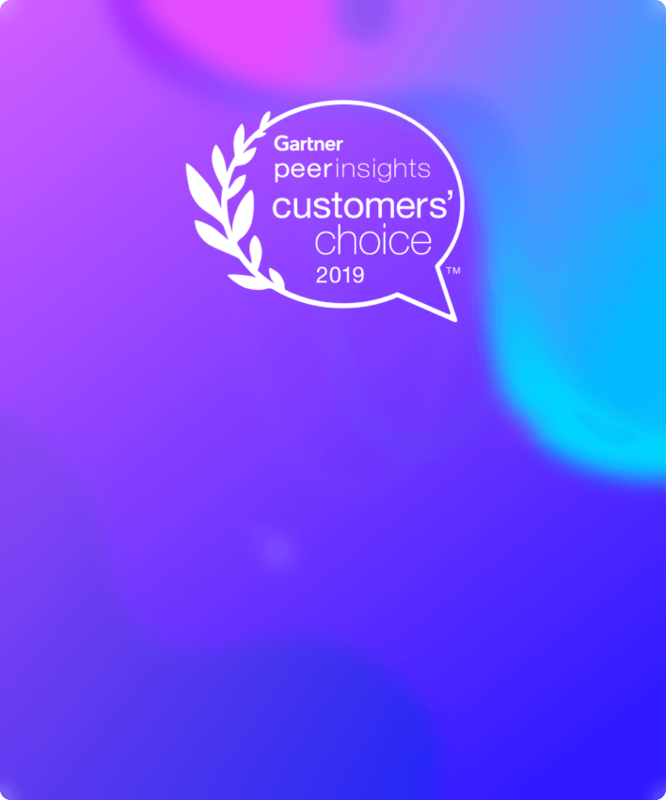 And if you only need support for REST services and your team members have had a fundamental programming background, Rest-Assured is most suitable. 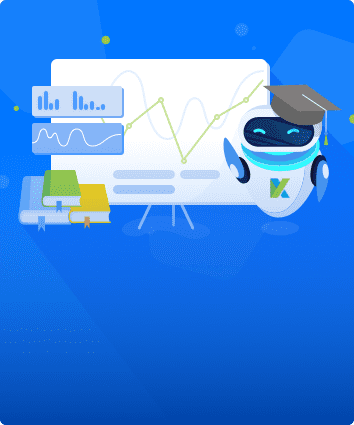 If you’re looking for a tool that supports all Web, API, and mobile apps, is free, is easy to use for team members with little programming skills, and consists of a complete support system from the community to professional, Katalon Studio is the ultimate choice.